FLAMARIO – the ideal bar for entertaining in the garden this summer! FLAMARIO consists of 3 high bar stools and a curved bar table, complete with a 5m thick safety glass table top. Perfect for serving up cocktails on a warm summer’s afternoon! Everything you need to conjure up a refreshing drink can be found in the cupboard underneath. 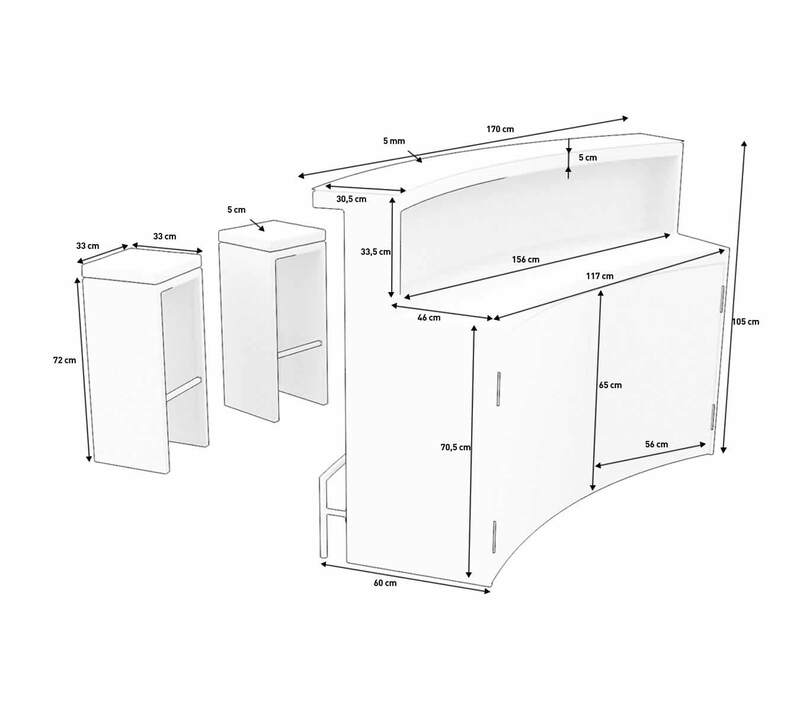 The 2 cupboard doors protect the stored bottles and utensils from dust and the sun’s rays. 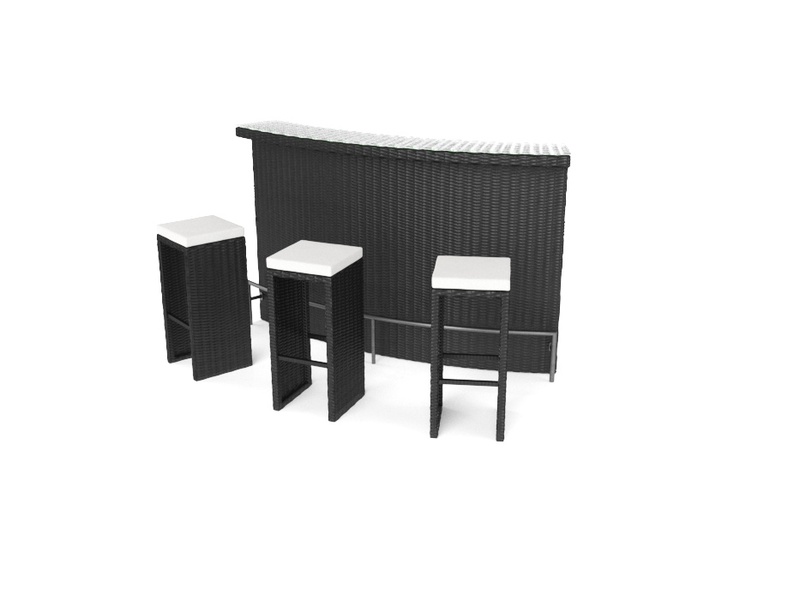 The frame of the bar is made from robust powder-coated aluminium, as are the bar stools. No need to go out to a crowded bar at the weekend…bring the party to you with the FLAMARIO Rattan Bar Set! The synthetic rattan is weather-proof. The cushions are water-resistant and comply with UKFR (UK fire regulations). The cushion covers are 100% polyester and the cushion filling is foam.